We love living in Stapleton and want to support our local businesses. send me a message to learn more! I can help you plan the whole event or coordinate what you need to make things flow more smoothly. Using my creativity and making an event a success is what makes me happy. I would love to help you plan your next event. The CORRECT number for Blossom is 720-746-9940. Tiffany is great! OMG, there is a new store in the Denver Pavilions called Lollipop, they sell all kinds of Hello Kitty stuff!! It is really nice and the guys working there are very nice. There are lots of Hello Kitty products for all flavors...My daughter went crazy and ask me tonight if she could go back..LOL...I recommend this store to other moms!! Hello, my name is Angela. If anyone needs an occasional babysitter, let me know. I am reliable,fun,and caring. I have 10 years experience watching and teaching children of all ages. I use to work at a preschool and now I work at Children's Hospital. I am CPR and first aid certified as well. Give me a call, 720-535-4521. Hope to talk to you soon. Shannon Garcia said: This comment has been removed by the author. "Guys and Dolls" bunk bed set for sale. Great condition terrific for 5-9 year old, can be painted, currently has a garden theme. Mattresses included. Very sturdy. Kado-mothafluffin-Potato said: This comment has been removed by the author. Hi, my name is Kaitlin Eckenrode and I am local Stapleton teenager who is a babysitter. I have been a babysitter for the past 6 years and I love it! I am very responsible, reliable, fun, energetic, and caring! I have very flexible hours including mornings, afternoons and evenings 7 days a week! If you are interested please feel free to contact me at either kaitlin.e.volleyball@gmail.com or 720-227-1784. Thanks! Hi! We are a local garage door company servicing all your garage door and entry door needs. We recently replaced a pair of broken springs for your neighbor Chris Hazlett and he recommended we check out your blog. We do offer free estimates so please see our website www.adscoloradodoors.com and keep us in mind for all your door needs. We are looking to hire right away! We have 17 Residential and Commercial Cleaning positions available immediately! Lady Labor is looking for responsible, detail oriented, and cleaners with experience who takes pride in their work. This opportunity requires you work a minimum of 3-5 days a week with the possibility of leading to a full time cleaning position. We offer above average pay with bonus possibilities! Please be prepared to come in for an interview! The Snow Queen places a curse that makes people only see the bad around them. When her cousin falls under the spell, Gerda goes on an adventure to save him. Along the way, she teams up with talking flowers and animals, a princess and even a band of robbers. Once at the castle, Gerda uses everything she has learned on her journey to release Kay from the evil spell. There was a bit of an error made in the construction of Wayside School. Instead of thirty classrooms side by side, it was built one classroom on top of another, thirty stories high...except for the 19th floor which seems to have been forgotten. And way up top, the children in Mrs Jewl's class have some strange encounters ghosts in the mashed potatoes, talking pigtails, dead rats, and the mysterious Miss Zarves. HI Stapleton Moms! Are you looking for a summer nanny? Spacious Townhome for rent on Central Park Blvd, $2695/mo.! This 2 Bed/4 Bath townhome in the heart of Stapleton gives you a updated, bright, open living space with the option of working on the main level of your home. Hardwood floors, exposed brick, stainless steel appliances, breakfast bar in the kitchen, upgraded baths, skylight, private two car attached garage, unfinished basement with plenty of storage, and three patio spaces with wonderful mountain views make this a fantastic living space. Two bedrooms with private baths and a bonus loft space all located upstairs. This home is centrally located in the heart of Stapleton and is within walking distance of parks, pools, The Bladium recreational center and the Stapleton Town Center. Check out the listing here http://postlets.com/r/2330-central-park-blvd-denver-co-80238/11051790 and please call Katie Thomas directly for a private showing - 720-235-7957. My name is Shaneequa Burrell I am a Stapleton mom and the Local Evolve/SolarCity Consultant. If you have been considering Solar for your home but have questions, then please let me answer them for you. SolarCity is offering a No Cost Solar System to qualified home owners. If you would like a Free consultation to see if you qualify for our program contact me ASAP. This program is for a Limited Time Only and I can't help everyone get FREE SOLAR PANELS! A double Chariot for sale - both stroller and bike attachment. Excellent condition $300. Garage Sale in Northfield Stapleton. Saturday, 8 am to 1 pm. Lots of stuff - furniture, garden tools, bedding, lamps, armoires, etc. No baby stuff. 8044 E. 50th Dr in the alley. Hey moms, we need your help! The University of Colorado is doing a research study to learn how best to deliver text messages and social media to encourage pregnant women to breastfeed. Eligible women will be part of a text messaging program and get access to Facebook page for online information and discussions. Participation in the study is voluntary. Participants who qualify will receive compensation. Email lynn.katz@childrenscolorado.org for picture and more information. 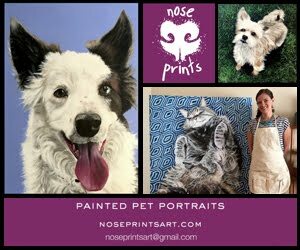 I have a decorative painting company, Magpie Painting and I'm offering a deal this month. Any appointment for a free consultation made in September, I will take 10% any services booked. I specialize in all decorative painting finishes for walls, furniture and cabinetry. I also paint murals, create custom stencils and commissioned fine art. Really, I love to paint and paint everything! 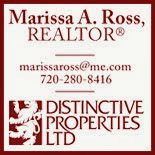 I've been in business for 15 years, working with designers and homeowners in Denver and San Francisco. This year I received the best of Houzz award for service! I'm a freshman at Denver School of the Arts majoring in Theatre. I'm responsible, motivated and have a 4.98 GPA at school. I'd love to babysit week nights and weekends. I am Red Cross certified and love kids! Baby stuff for sale, including lots of toys in good condition, Graco SnugRide 35 car seat (in great condition), bibs, burb cloths, baby blankets. Please email janejensen15@gmail.com for more info, pictures, etc. I have tons of moving boxed FREE 5050 Valentia St House 101 on front porch. Help yourself! HI There! Happy New Years Eve! I am not a party girl and thought i could make some extra cash! Babysitter available from 1 pm NYE to 10am Jan1st. I am a former social worker, 27, degree in child and adolescence psychology. 1st aid/CPR. I can cook, clean and do overnight for extra $. Let me know what you are looking for and how much! I am giving extra incentives to get a few friends together and let me show you the amazing products Arbonne has to offer in skincare, make-up, nutrition and much more. You will receive a hostess gift, a great discount of 35-55% off our full line of products plus a specail gift from me of any product we have up to a $75 value. Contact me today to book your date. My name is Claire Hanken and I am currently looking for a babysitting or part time nanny position. I am 27 years old with a degree in Social Work and Spanish and I am a certified Massage Therapist. I formerly worked as a middle school social worker and have 15 years of experience working with children ranging from newborn to teenage years. I am active, passionate about nature, and extremely health conscious. I would love to help support you and your family in any way possible! Call or email me to see if we would be a good fit for one another. I am a new company offering assistance with everyday activities. Stuff for sale! Wine rack - like new condition. And baby swing - also like new condition (our children hated the swing so they never used it)! Email for pictures and prices... Thanks!! parental commiseration. ALL while helping to ensure all Colorado children have a bright beginning. Tickets are $50 each and include two adult beverage tickets. 100% ticket sales benefit Bright by Three's program. Learning doesn’t begin when a child starts school. Amazingly, 85% of a baby’s intellect, personality, and social skills are developed in the first three years of life. But because babies don’t come with operating instructions, all parents need a little guidance on how to make the most of this critical period. That’s where Bright by Three comes in. Bright by Three visits with parents and other caregivers and provides a three-step program to make sure their little ones get the best start at life. And it’s absolutely free for these families, supported entirely by charitable contributions. My name is Grace and I am currently looking for a babysitting or nannying position. I am 17 years old and a senior at East High School. I have 6 years of experience with children of all ages, I am Red Cross certified and have many references. I can start immediately. 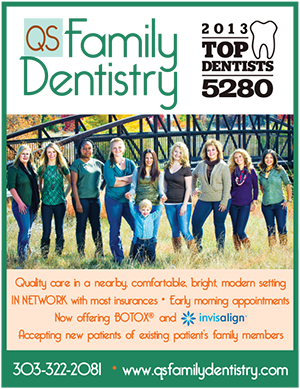 Give me a call at (303)506-7290 or an email at gracefhancock@gmail.com. I look forward to hearing from you! Does your child need help with social skills? Is your child easily frustrated? Has your child been bullied? Need help communicating? Need help controlling his/her emotions? Does your child have low self-esteem/self-worth? My name is Allison Bratsch and I am a Life Coach for children, teens and parents. I have a Masters degree in Counseling and have been trained as a Child, Couple and Family Therapist. Over the past 7 years working in the mental health field, I have come to realize the importance of proactively teaching our children life skills such as emotional intelligence, assertive communication, frustration tolerance, and basic coping skills. This is not something our mainstream education directly teaches, however it is crucial for our children in leading emotionally healthy lives. My name is Haley and I am a Senior at Denver School of Science and Technology (DSST). I have been babysitting for five years and have experience with kids of every age. I am Red Cross Certified as a babysitter and have my driver's license. I am available to babysit any day and/or night throughout the summer, and on weekends during the school year. I am searching for afternoon care for my 3 year old daughter who will be at Swigert in the morning ECE session. I need transportation and care for a few hours a day until my husband gets off work at 3:30pm. Please email me amy.mckee7@gmail.com if you are interested. I wanted to let everyone know I have a bunch of openings for the end of August and September for photo sessions! I have a variety of options at all different price points available! Sessions range from mini sessions to discounted weekday morning sessions, to full hour sessions! Please feel free to let me know if you have any questions and I look forward to seeing you this fall!! A busy probate solo practitioner is seeking a part-time paralegal. Enjoy a professional, collegial environment in which you take ownership of your work while being part of a team. The right candidate will be detail oriented, creative, professional, and eager to help run this thriving practice. This is a temp-to-hire position, with benefits including: 401K matching and PTO. To apply, please email your resume to myadvocate@targetedlegal.com! Hello Ladies if you looking for a part-time job my daughter attends Swigert. The afterschool program is in need of help. It's a great program and great staff. Here hours are 2:55pm-6:00pm, you can contact the supervisor Catrina for more information. catrina_benjamin@dpsk12.org. Are you looking for a day nanny or babysitter? Look no further, experienced Infant teacher looking to help a family until my externships in January. 7204343519 Shayla! Looking for a handyman to replace a garbage disposal. Any referrals out there? We are selling our daughter's bedroom set from Ethan Allen. She is a teenager now, and would like something different. It is 10 years old, in great condition, of a high quality and is extremely functional. Would prefer to sell as set, but will consider splitting pieces up. Please contact Angela at 720.287.4970 or thereiders@hotmail.com for pictures or more information. Audience members join professional actors and play the parts of the Cratchit family, ghosts, and carolers in this inventive adaptation of A Christmas Carol. With less than an hour running time, this is the perfect alternative to some of the other productions of this Yuletide favorite being offered during the Season. Great fun for school field trips. Experience this traditional story like never before! Hi my name is Julia Shouse and I am 16. I have been playing piano for 9 years and have experience teaching kids. If you have a child interested in playing piano, I can come to your house or if you don't have a piano they can come over (I also live in stapleton). I charge $12 for a 30 minute lesson and am available weekdays after 3. Park-Hill mom is seeking a full-time, experienced, flexible nanny manager for my three-month old baby boy. The baby is sweet and mild mannered; he’s a joy to be with. I had him on her own deliberately and am thrilled to be a new mom. I own my own business and have a varying schedule, so flexibility and reliability is key for this position. The schedule will typically be Monday through Friday with one overnight a week, either in our home or traveling with me and the baby. The nanny will always know her schedule in advance and I will guarantee 45-hours a week. In addition to taking great care of the baby, the position involves grocery shopping, running errands, cooking for the mom and eventually the baby and light housekeeping. The ideal candidate will focus on education and development and be active and involved in the community as the baby gets older. This job starts a.s.a.p. I can be reached at shari@candidculture.com. Please share this with anyone who might be interested or with people who may know someone who might be interested. Thanks! I want to sign my 3 month old son up for Music Together classes. 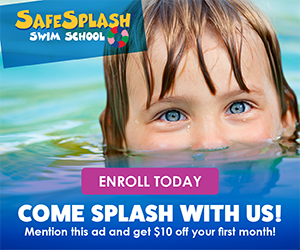 There is an infant class (up to 7 months) and a mixed ages class. Newborn to five year olds. I would prefer the infant class, but only the mixed age class is offered when we can attend. Is he too young for the mixed age class? Should I wait? Thanks for your thoughts! I can be reached at shari@candidculture.com. My name is Vince Madison. I am a music teacher (piano and guitar) that travels to homes in Stapleton. I have been in the area for over 10 years. I have been told that people have recommended me on your blog and that is wonderful. But occasionally when I have a slot open up, I'd like to be able to let people know through your blog. Still interested in advertising on your blog. Do you ever come home after a long day, ready to lay back and relax and then, being the dedicated mom you are realize that you have kids AND a dog to take care of? I am here to help. My name is Grace Staberg, I am a graduating 8th grader at McAuliffe International School, and a Stapleton resident. Recently I have started a dog walking "business" around Stapleton. I am available before 7:30 AM and after 4:30 PM Monday-Friday. Please contact me at the below figures if I can be of assistance! Do you have old analog camcorder video camera tapes that are starting to degrade or don't have the player or camera anymore? Would you love to have those family memories backed up and updated so you can view them easily on your computer or played on your DVD player? Those tapes will not last forever! I can convert MiniDV, DV, Video 8, Hi8 and Digital 8 tapes to a DVD, flash drive or both. Do you have old VHS, VHS-C tapes? I can convert them as well. Transfer each tape (2 hour maximum) to a playable DVD (I include the blank DVD) for $15 or to a .avi files on a flash drive (you provide) is $10 each or $20 for both. If the tape is longer than 2 hours, add $5 per 2 hours. I also soon will offer cassette tapes to CD or MP3 files and photo and 35mm slide to digital .jpg (contact me for a quote). I'm located just across the street in Park Hill. I've done this type of conversion for several years and know how important this service is to you. I'm honest and dependable to take great care with your one-of-a-kind memories. Martha Chia said: This comment has been removed by the author. Hi! I'm bilingual, I speak Spanish and English. Currently I work part-time already as a nanny. I'm looking to work for another family part time; whether it be for a 1-2 days during the week or a few hours during the day for multiple days in Denver based. I am, though, strictly dedicated to my current family for Wednesdays and Thursdays. If interested (and your days/hours are as somewhat flexible as mine), we can discuss such days of the week and hours. My phone number is 720-3820189, email marce0809@gmail.com. I am available from now until the beginning of August. I will be attending English school in the mornings, so my hours are from 2:00 pm until 7:00 pm. Monday, Tuesday, Wednesday and flexible on the weekends. I've been working as a Spanish Teacher and tutor in a school setting for four years and nannying since last summer. I've worked with infants through young school age. I am from Colombia. We are Dun Rite Carpentry Services - a team of two that can complete various tasks around your home. We are English speaking, clean cut, detail orientated, trustworthy and operate a fully insured Colorado registered company based in Stapleton. Jobs are bid by the scope, not the hour and estimates are free! Please send initial email with your needs and approximate location and we'll provide a quick no-nonsense quote. Replace Shower Heads, Replace/Upgrade Faucets. Replace Mini-Blinds, Vertical Blinds, Replace Or Install Drape Rods. Install/Change Batteries in Smoke Alarm, Door Bell, Bathroom Exhaust Fan. Interior/Exterior Door Knob Or Handles, Door Locks (Deadbolt), Door Peephole, Broken Or Missing Door Stops, Weather Stripping. Install Grab Bars for independent living. Hang pictures, paintings, mirrors, Etc. Install wood trim, wood flooring, laminate flooring. Adjust cabinet doors and drawers for proper operation. Other tasks considered and we'll be honest whether we can handle the job or not and be happy to refer you to someone that can if we can't fit in our schedule or skill set. 3 Hour Cleaning Special &$69!!!!!! Let us help you prepare for the busiest time of year with our 3 hour $69 house cleaning special! We can take the worry of cleaning your home off of your mind so you can focus on the more important things this holiday season. 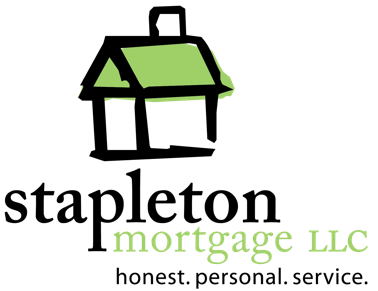 Our company is fully licensed, bonded, and insured. We also offer other services including personal concierge, mommy helpers, and home organization. Let us help make your holidays beautiful. Call now to take advantage of our 3 hour $69 house cleaning special appointments will fill up fast!!!!! 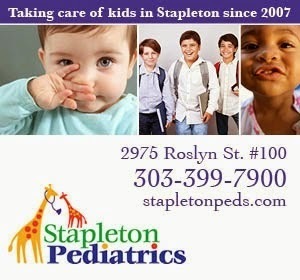 Tell them you are a Stapleton Mama! At The Logan School this summer! I am a pediatric sleep consultation! I would love to help any tired families. I specialize in baby sleep, and can help tremendously if you have a baby that is not sleeping through the night. Check out my website www.teenydreamers.com or email me with any questions brandisleepconsulting@gmail.com. I offer free 15 minute consultations over the phone, and for the month of May all services are 50% off in celebration of Mother's Day! I am having a garage sale on Saturday May 26th and 27th from 9:00 AM-12:00 PM. The address in 11458 E 25th Drive Aurora CO. It will be in the Alley behind the house. I am currently an Intern at World Denver, a non-profit organization. We currently have a filing cabinet and desk that we no longer need in our new office. 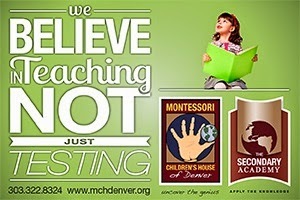 Anyone interested may contact me at mackenzie@worlddenver.org. We are not selling these items, just looking for someone to pick them up. World Denver is currently located at 3607 Martin Luther King Jr. Blvd. Hi! My name is Esther Pinther and my husband and I just opened up a fitness gym here in Stapleton called Reckoning Fitness, and we cater to so many moms who are home during the day! I myself am a mom, and always enjoy getting an hour workout in during the day while the kiddos are at school,, because when they come home its craziness!! 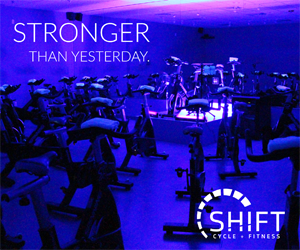 I have many moms in the Stapleton area who come in during the day to get their hour in! We have FREE COFFEE & a FREE WEEK to try us out! I train and host classes so call me and come by with a friend of just yourself and just try our gym out! Our goal is to give back to the community that we love and help people love their bodies, their lives, and help them make time for themselves and reach their goals!